Lawrence Hale is the Director of the IT Security subcategory within the Office of Information Technology Category (ITC) in GSA’s Federal Acquisition Service (FAS). The Federal Acquisition Service provides buying platforms and acquisition services to Federal, State and Local governments for a broad range of items from office supplies to motor vehicles to information technology and telecommunications products and services. As an organization within FAS, ITC provides access to a wide range of commercial and custom IT products, services and solutions. Mr. Hale is responsible for addressing the challenges of ensuring visibility of IT Security Solutions such as Highly Adaptive Cybersecurity Services (HACS), Continuous Diagnostics & Mitigation Tools and Supply Chain Risk Management (SCRM), while ensuring that FAS IT products and services align with federal security standards and mandates. Previously, Mr. Hale served as Director of ITC’s Customer Engagement Division. There he was responsible for planning and implementing customer development strategies for the Information Technology Category including Government-Wide Acquisition Contracts (GWAC) and business lines in the ITC portfolio. Mr. Hale spent more than two years as Chief Information Security Officer of Affiliated Computer Services, a Fortune 500 Information Technology company. 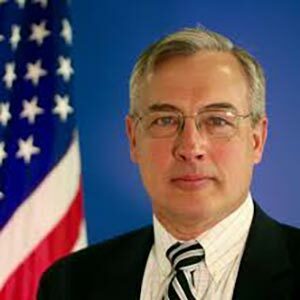 Previously, as Director of the Federal Computer Incident Response Center, (FedCIRC) Mr. Hale led the transition of that organization from GSA into DHS, and served as Deputy Director of the National Cyber Security Division’s Computer Emergency Readiness Team (US-CERT). In January 1999, Mr. Hale became the first military officer assigned to the National Infrastructure Protection Center (NIPC). He retired from the U.S. Navy as a commander in 2001. He has a master’s degree in National Security and Strategic Studies from the Naval War College, and a master’s in Aeronautical Science from Embry-Riddle Aeronautical University. He is a Federal Computer Week, Federal 100 Award winner, and a winner of the Association for Federal Information Resource Management (AFFIRM) 2016 Leadership Award.